Happy Saturday, friends! It’s time for my skincare routine and I like to share them with you. Ta-da! 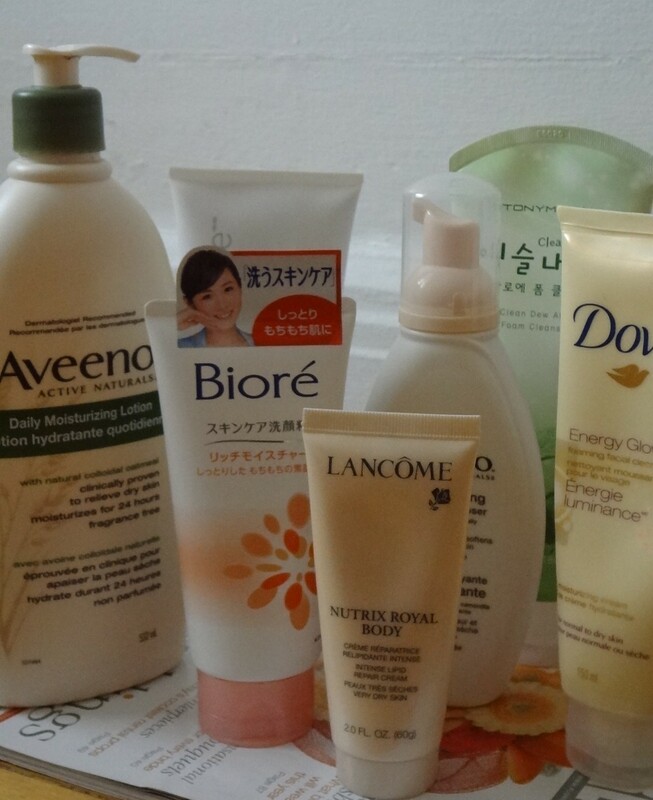 These are some of my essential skincare that I used on a regular basis while the others on waiting list. First of all, let me share with you some of the skin care and facial wash that I used and have started using recently for my review on my last week’s post. So, I’m going to start by doing my favorite Aveeno skin care products. 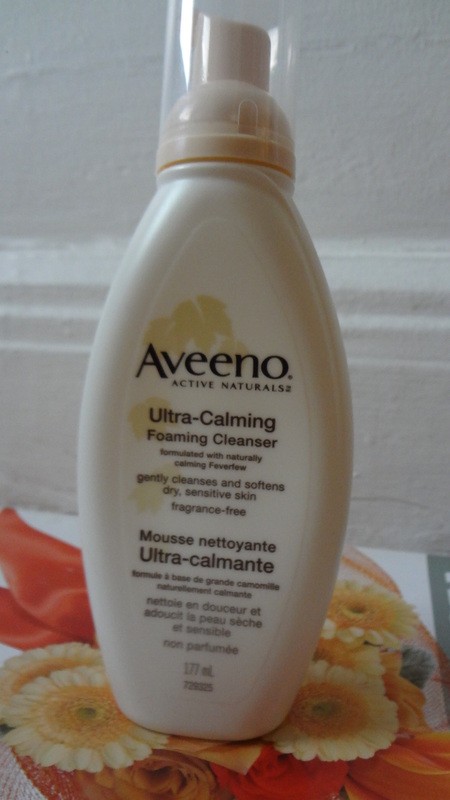 On the bottle it says, “Aveeno Ultra Calming Foaming Cleanser formulated with naturally calming Feverfew that gently cleanses and softens dry, sensitive skin. And it’s fragrant free.” It came in regular size bottle of 177 ml. 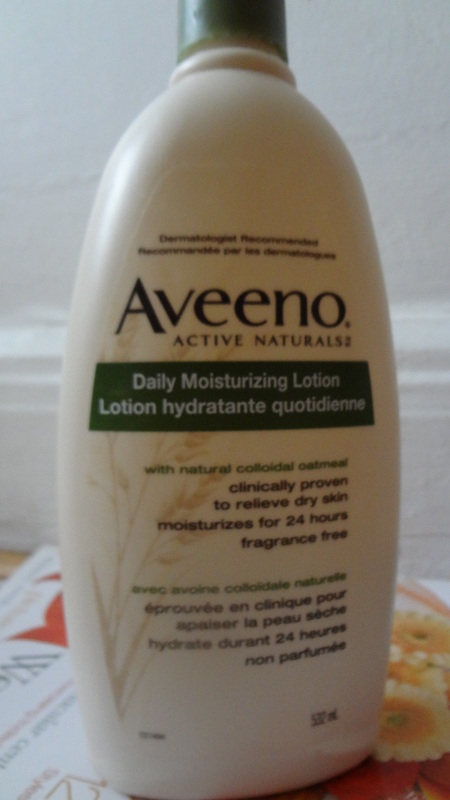 While on this big bottle, it says “Aveeno Daily Moisturizing Lotion with natural colloidal oatmeal which clinically proven to relieve dry skin and moisturizes for 24 hours”. Bottle size is bigger, it’s a 532 ml bottle. This lotion is dermatologist recommended. Aveeno is a new brand name for me. I started using them like a year ago. I usually use Dove or St Ives. But then I switched to Aveeno and I’m happy with the products so far. 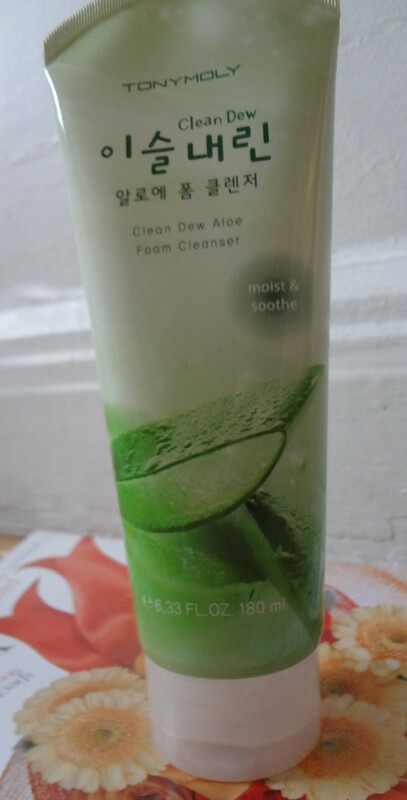 Nevertheless, I’m always on the hunt for different types of facial cleansers from high streets to high end brands. I have been using both of these products regulary and it keeps my dry skin moisturized both body and face. 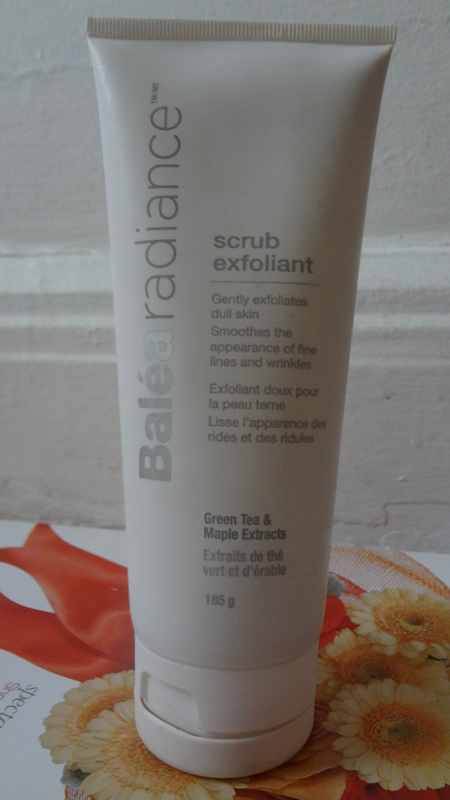 Balea scrub exfoliant is a new brand for me. I haven’t heard it before. Sorry for my ignorant. Anyways, while I was window shopping I came across this exfoliant which was on sale and so I sort of bought it on a whimp. I simply like the packaging. 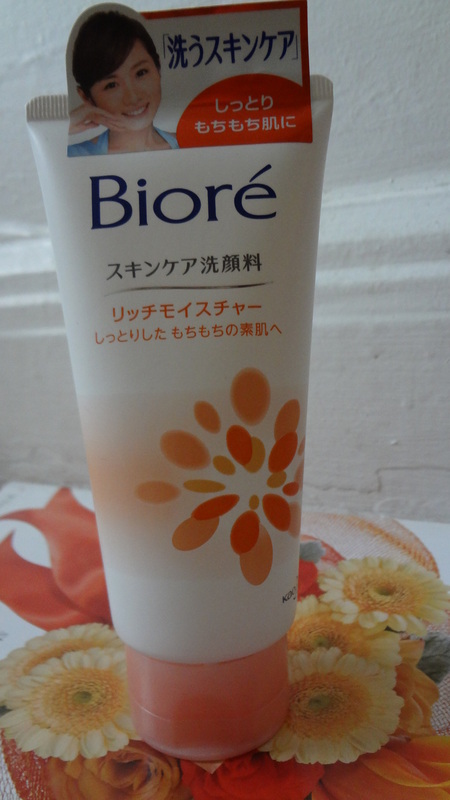 I had it a few months ago and I like the tiny exfoliating beads when scrubbed on my face. It has I believe apricot and walnuty scents. I like the smell now after awhile. It was strong for me at first but it’s about getting used to it. The exfoliant cream is brownish in color. It does what an exfoliating scrub should do. My face looks cleaner and all the dull skins varnished. Yay!!! Oh yes, it’s recommended to use once or twice a week only. 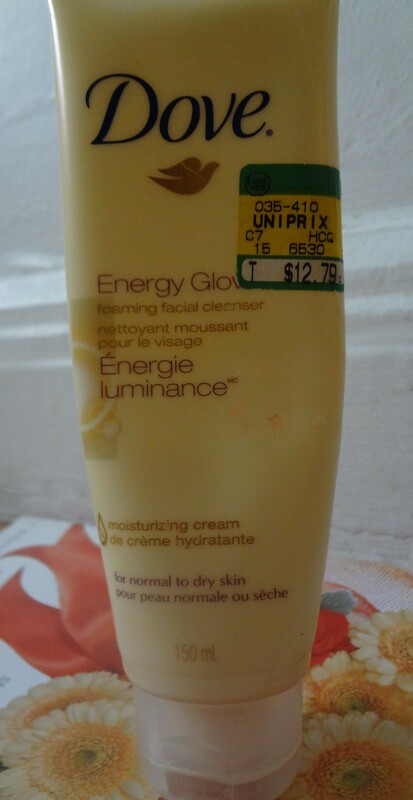 Dove Energy Glow foaming facial cleanser for normal to dry skin in 150 ml tube. This cleanser contains both ultra-fine exfoliants with 1/4 moisturizing cream. It’s like a 2 in 1 instant coffee type of function. It gives skin glow and look great. I have used this in the past and it’s almost finishing as you can see from the state of the tube. It’s going to be empties blog soon. 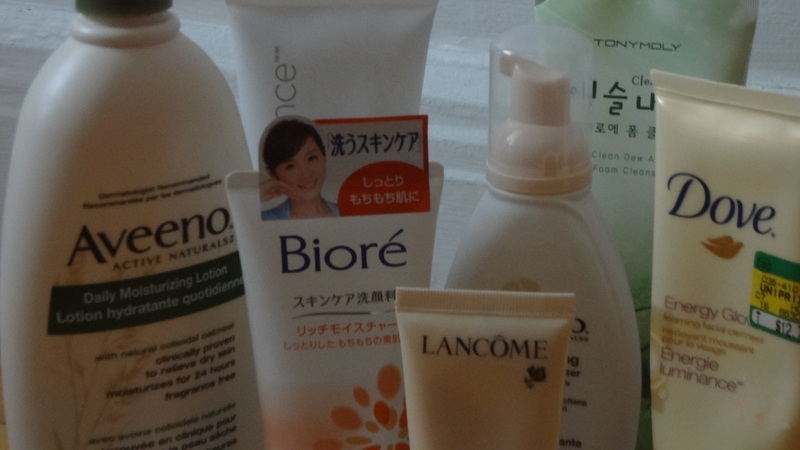 You must have seen these Kao Biore and TonyMoly facial wash in my previous blog. It’s in my last Sunday’s post. These two are my most recent buys of facial wash todate. 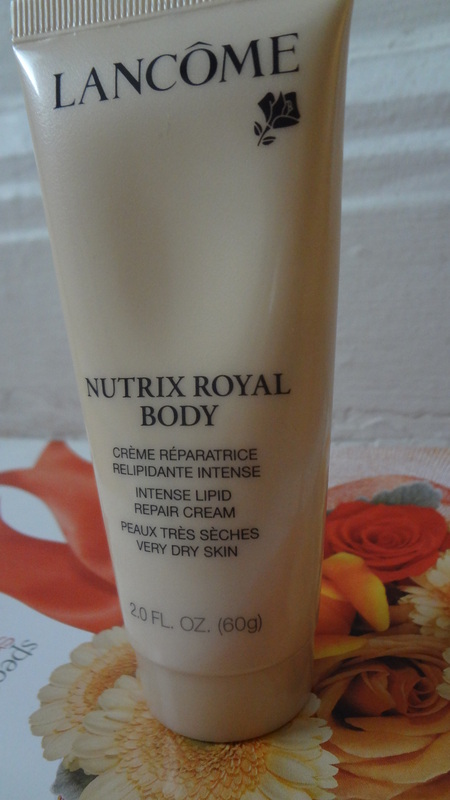 Last but not least is the Lancome Nutrix Royal Body intense lipid repair cream for very dry skin in 2.0 oz. I got it in a gift set given to me last Christmas. Oh my goodness!! Lancome’s lotion is amazing. I really love it’s awesome scents and most importantly is I felt the softness of my skin immediately when I applied it on. I love the cushion-soft feelings on my hand and it’s lightweight. The cream absorbs very quickly preventing moisture escaping (chuckle!). I will repurchase it again. It’s one of my favorite. What is your beauty regimen? Please share on the comment below. 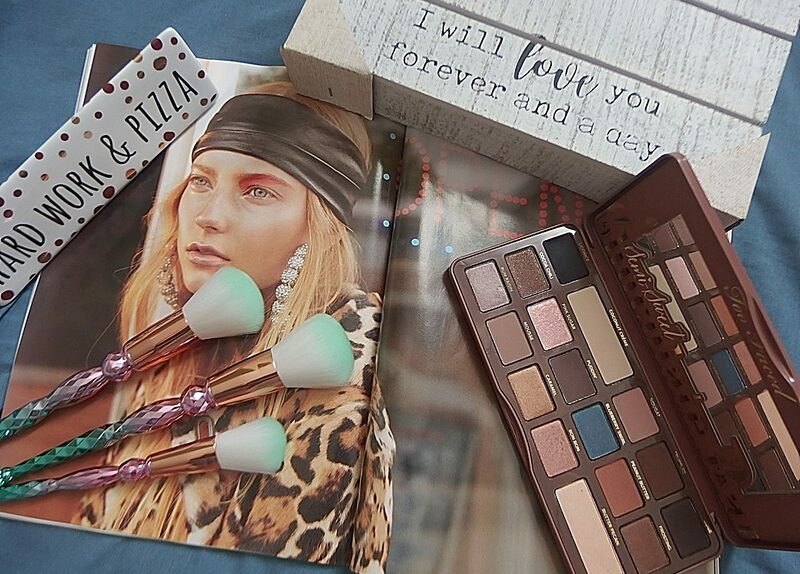 Previous postThe Body Shop ~Beauty Haul! Next post7 Reasons Why I Love Autumn!! !